Palmprint biometric modality is one of the most challenging and active areas of research in the computer vision field due to its high accuracy, high user-friendliness, low cost, high level of security and usability. However, an automatic system designation is a challenging task due to the different variability produced in an unconstrained environment. Since the concept of fusion is robust against these variability, we propose in this paper a intra-modal palmprint fusion based on the features fusion extracted from left and right palms using the SIFT and HOG descriptors. This fusion scheme is performed at both the feature and score levels applying the Canonical Correlation Analysis and Geometric means metrics, respectively. Then, a Random Forest algorithm used in order generate the identity of a person. 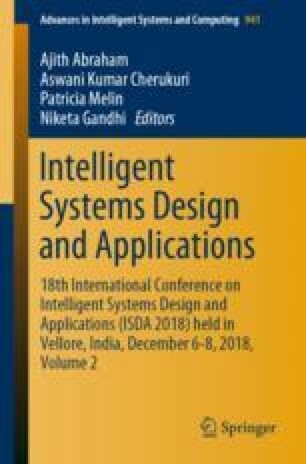 Practical experiments are performed over CASIA-Palmprint and IIT-Delhi datasets, report encouraging performances which are competitive to other well known palmprint identification approaches.